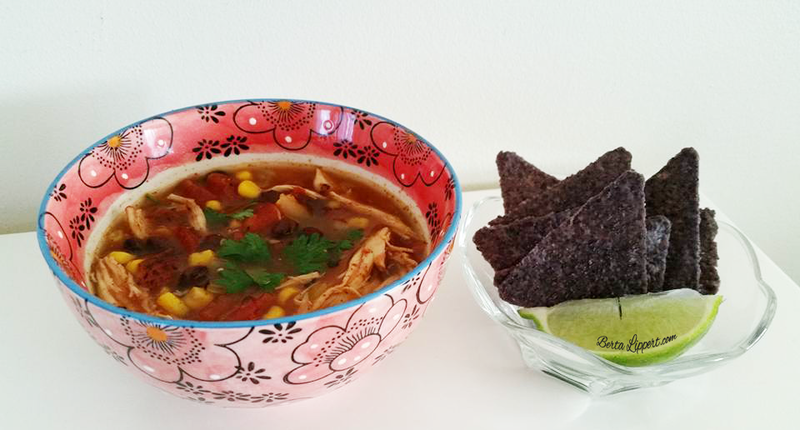 As promised, here’s my recipe for my easy peasy slow cooker Chicken Tortilla Soup! #1 Bags of frozen chicken breasts often have solution added to them that increase the sodium levels dramatically. Reading labels, and buying fresh, all natural chicken with no antibiotic use is best. #2 The sodium in this recipe can add up quick. So be sure to purchase low sodium versions of everything available, including the seasoning mix. #3 This is a large batch that I purposely make to store several servings in the freezer. 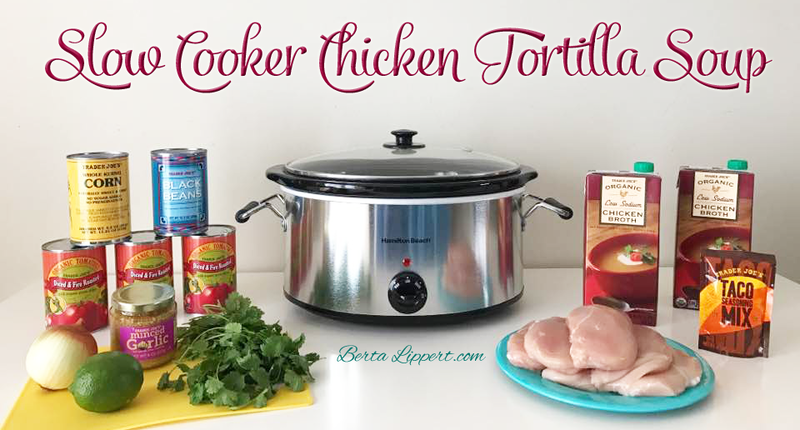 It freezes well and makes an easy and delicious meal in a snap! 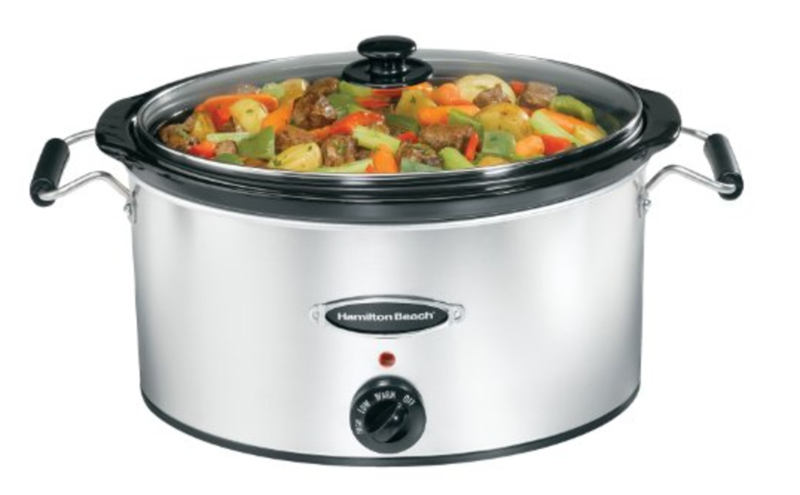 I have two slow cookers I use. Here’s the exact one I use (7 quart) for larger, double batches such as this recipe.